Hello and welcome to another Saturday edition of Celebrating British Bloggers in which I bring you an interview with a wonderful book blogger! Today, I am hugely pleased that Zoe from Bookhi is on my blog. I adore Zoe, I really do. She's one of the absolute nicest people that I've met through blogging. I really do wish you'd take a minute and go follow her at different places and then come back to read her interview. First, can you tell me something about yourself and your blog? 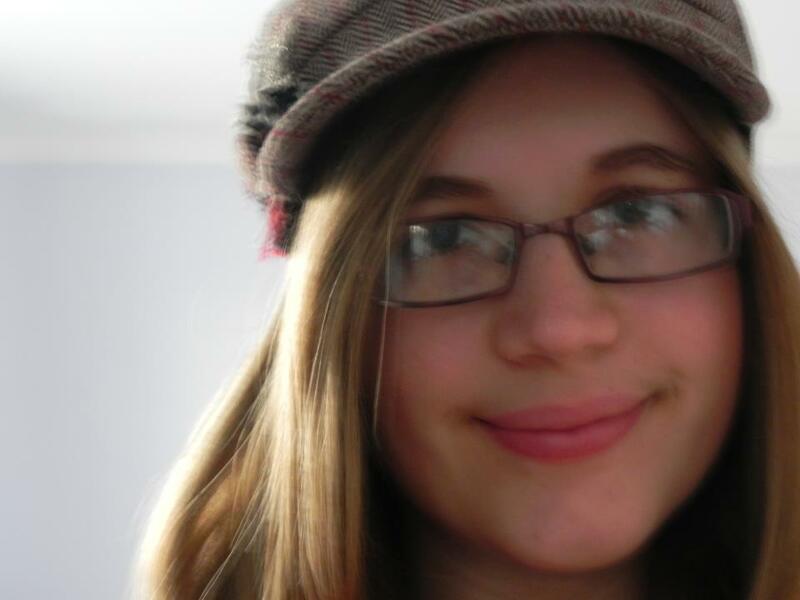 Hi, my name is Zoe and I run another YA book blog, Bookhi. I am 14 years old and live in a small town where I happily engross myself in books and go on the Internet too much. I am currently in my fourth year of secondary school (year 10) so when I'm not having a breakdown about homework and exams, I love to blog. I started Bookhi in 2011 and from then on it has been a huge part of me life. On Bookhi, I share my thoughts on various YA books, do interviews with bloggers and authors, host giveaways and take part in some events. I hope you enjoy it if you decide to visit! How did you begin being a book blogger? Before Bookhi, I used to have another blog. I posted bits about books but it was mainly me. I was very shy and the only real way I could communicate with people without blushing is through a computer screen. It gave me heaps of confidence when I met tons of awesome people who are exactly like me. Most of my favourite blogs are book blogs, so I decided to set one up myself. I had no idea about being able to receive books for review, memes and ARCs. I was oblivious at how cool the world I had walked into really was. My other blog went downhill so I deleted it, but who knows? Maybe I'll start another personal blog someday. When you're not reading or blogging, what do you do with yourself? I am really passionate about writing, but I don't do enough on it. I meet these amazing people the same age as me who have written novels and are sending them off to publishers, and I have only written a couple of chapters that need editing! -_- When I'm not reading or blogging, it is usually due to homework or revision, sadly. I also do karate (I recommend it, it is such a fun sport), watch films, go shopping and talk to my friends and browse other websites (mainly Facebook, Twitter, Tumblr and You Tube). What was the first book you reviewed on your blog? 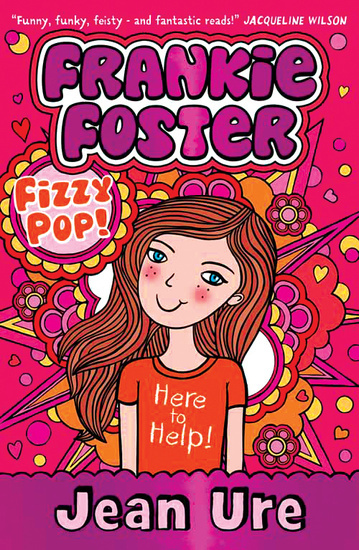 Frankie Foster: Fizzy Pop by Jean Ure. Don't look at it, it is terrible! I received it for review before I had a blog, so I was about 12. What has been the best experience of being a book blogger so far? You can do it, what is your absolute favourite book? Ah, the dreaded question of all book bloggers. This may take a while... hmm... do a series count? Because I am a massive fan of Harry Potter and I could get lost in JK Rowling's words for hours. 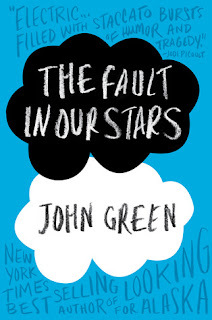 If you mean a singular book, then I'd have to choose The Fault in Our Stars in John Green. The writing is beautiful and is one of the few books that has made me cry. There are about a million quotes that are breath-taking, I definitely recommend it! If you could be best friends with any fictional character, who would you choose? 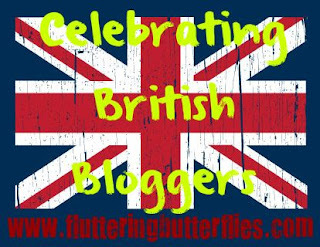 Name your top 5 UK book bloggers! Rachel from Booktastic Reviews, Beth from Page-turner, Jasmine from Ebony Black Lines, Ria from The Beaucoup Review and, of course, you! If you could meet your favourite author, who would you like to meet? What would you like to see more of or less of in YA? Less vampires, more ninjas. I am not a big fan of Twilight, so that has mostly put me off vampires... but you never know, maybe I'll like them again one day. I also think that ninjas could be a good YA genre that would become popular - I hope it catches on. I love dystopian books, but there are so many of those books that there isn't really much point in wanting more. And finally, who is your ultimate book crush? Thank you so much for interviewing me! Thank you so much for your brilliant answers, Zoe! 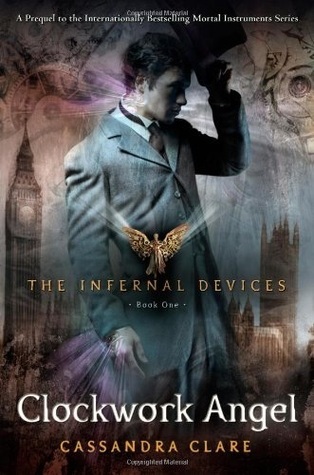 I LOVE Will Herondale as well! Do you fancy Will Herondale? 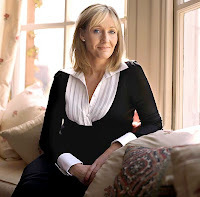 Would you like to meet JK Rowling or be best friends with Hermione Granger? 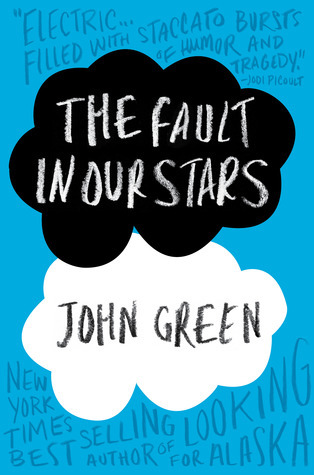 Is The Fault in Our Stars one of your favourite books? Let Zoe and I know in comments! Obsessing over books on a blog is amazing, I agree! To meet J.K. Rowling would be a dream come true. Thanks for interviewing me, I really enjoyed answering the questions!